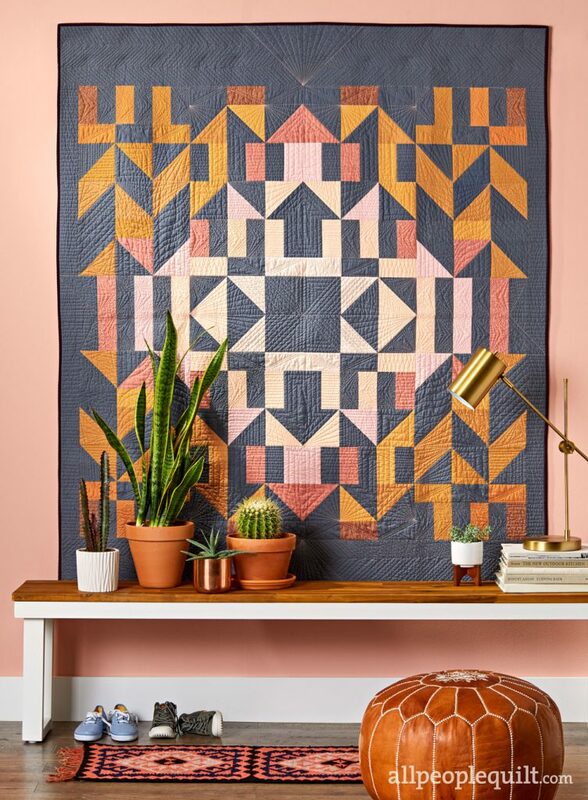 Modern Domestic is featured in Quilt Sampler Magazine as a TOP 10 QUILT SHOP! 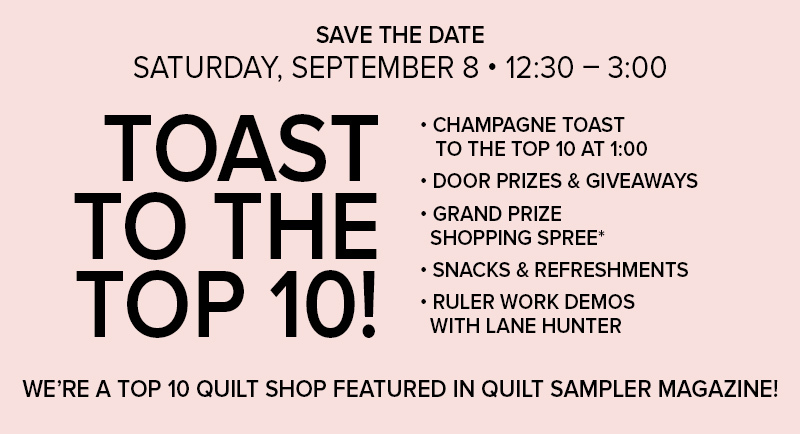 To celebrate this honor we are hosting a TOAST TO THE TOP 10 on Saturday, September 8 from 12:30-3:00. 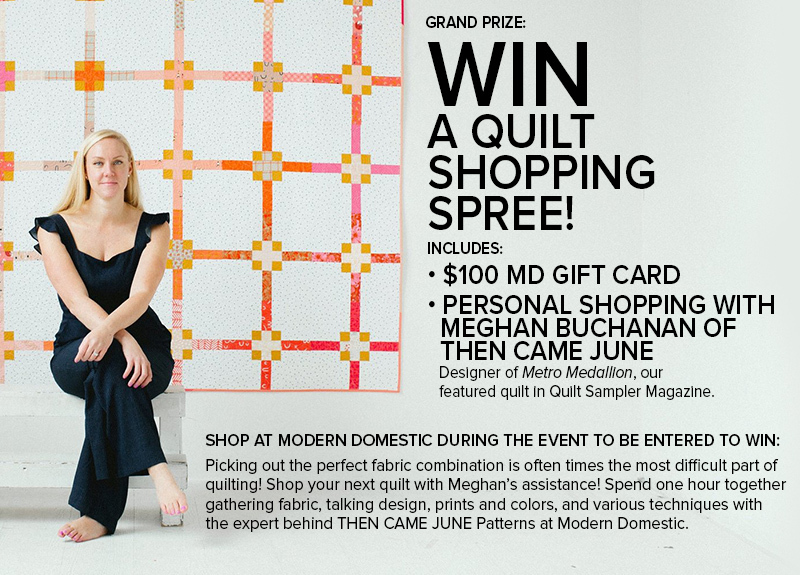 *Make a purchase at Modern Domestic during our event September 8 in order to enter to win the grand prize. To get the Metro Medallion Quilt Kit and Quilt Sampler Magazine.